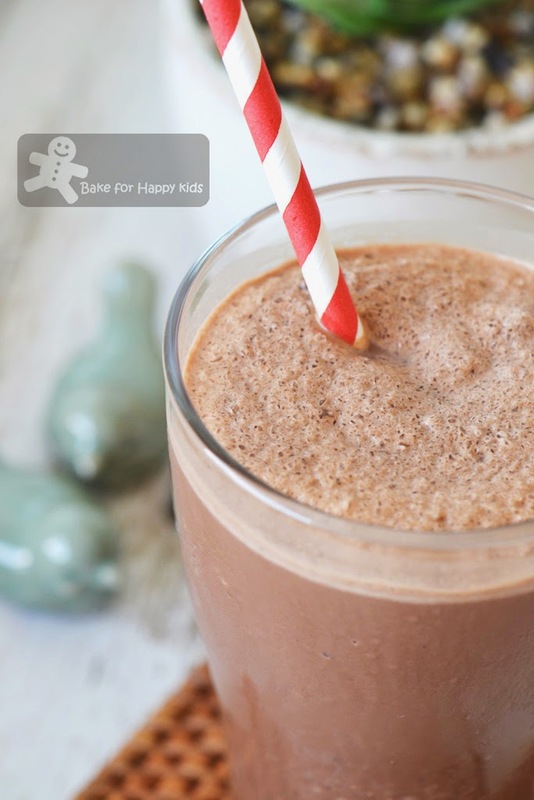 Bake for Happy Kids: Epic Ice Blended Chocolate... that cost you less than a dollar!!! Epic Ice Blended Chocolate... that cost you less than a dollar!!! Have you been spending at least USD or AUD$5 to drink one serve of ice blended chocolate or coffee at places like Starbucks, Gloria Jean's Coffees or Costa? Yes? So, why am I not surprised? Believe it or not? Each serve of the ice blended chocolate that I made is costing me less than a dollar!!! All because the ingredients that I used are easily available in my pantry and it is costing me almost like nothing to assemble these drinks together. To start, we need 30g CHOCOLATE to make one drink!!! I mean real chocolate with best quality that you like to eat or use for cooking or baking. Personally, I like to use Callebaut dark chocolate with either 55% or 70% cocoa. I always have these ingredients in my kitchen. To sweeten your drinks, you can use either icing sugar, corn syrup (preferably fructose free) or Stevia. If you are using sweetened chocolate, you can choose to omit this addition. Please do not use caster, white or granulated sugar as they are harder to dissolve. 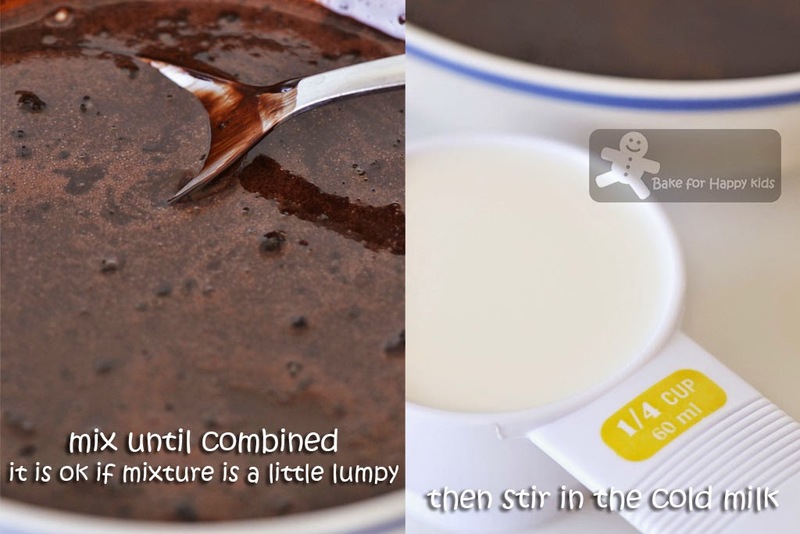 Melt chocolate with half the milk and mix all other ingredients together. Add ice and whiz until the ice are well blended and smooth. This is real epic and it costs me less than a dollar!!! Enjoying an epic drink - Priceless! 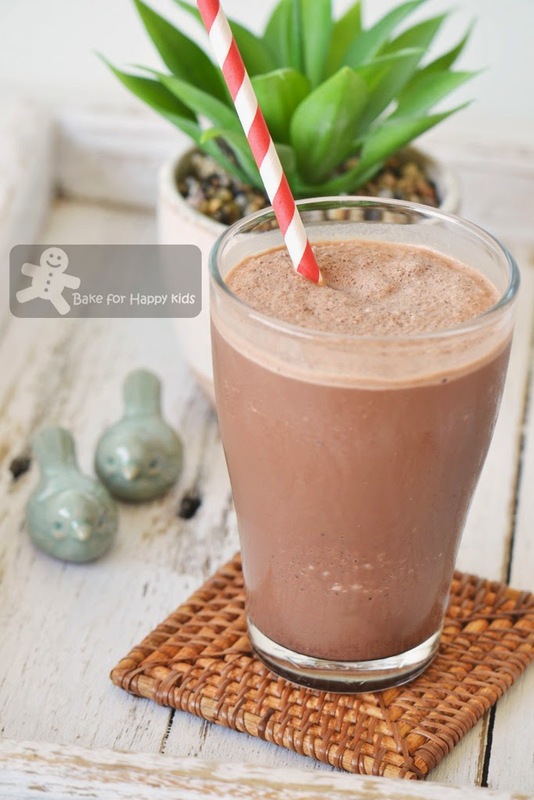 Depending on the type of chocolate and other ingredients that we use, each serve of this ice blended chocolate can varies from 250 to 400 calories but if you use 1g of Stevia (a natural sugar substitute) instead of icing sugar, you can consume 30 less calories from the one that you made with real sugar. Having said that, I must admit that the addition of Stevia does give the drink a little bitter aftertaste but it is not easily delectable and also easily acceptable. Stevia? It is a calorie-free sweetener extracted from the leaves of the plant species, Stevia rebaudiana. I like to strongly encourage people with diabetic and weight control problems to enjoy their food better with Stevia as the sweetness of 1g Stevia is equivalent to 2 teaspoons of sugar. Pardon me and my nagging... Although I like the fact that Stevia is noncaloric, I like to emphasis that the consumption of Stevia should be in moderation as excessive consumption may cause some side effects for some people especially those with 1) ragweed allergies, 2) low blood pressure or 3) difficulty to control blood sugar levels. Personally, I think that pregnant or breastfeeding women should avoid consuming sweeteners too... Well, this is my very very very personal opinion. 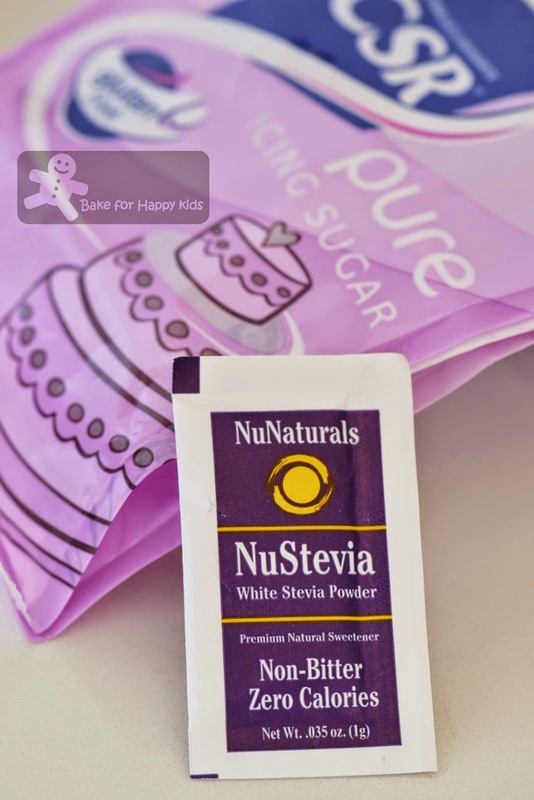 I like to moderate everything that I consume and so I'm loving the benefits of both Stevia and sugar. Place chocolate in a medium heat proof bowl. Pour 1/4 cup milk into a small saucepan and bring it almost to the boil over a medium heat. When the milk is ready, pour it in the bowl of chocolate and allow the heat to melt the chocolate without stirring for about 1 min. 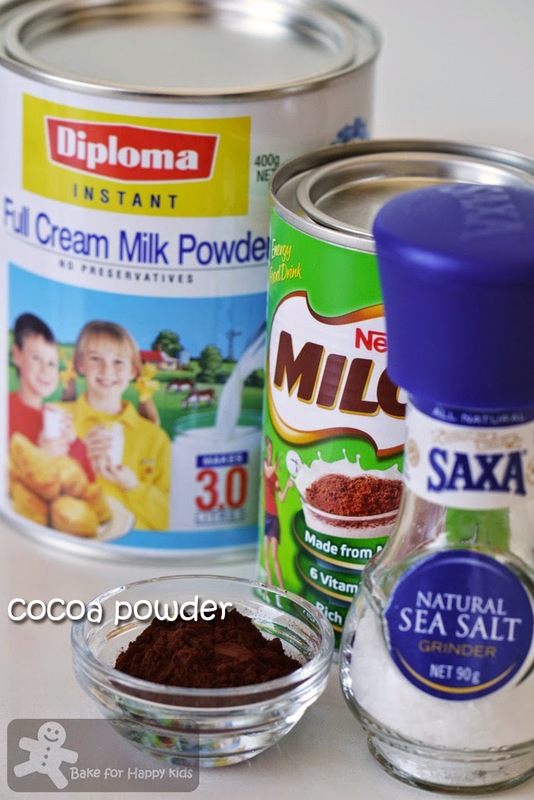 Add cocoa powder, Milo, milk powder and icing sugar or syrup or Stevia into the chocolate mixture and stir until combined. Mixture can be a little lumpy but it is ok. Stir in the rest of milk into the mixture. Transfer mixture into a tall plastic cup that can be processed by a hand blender and add ice into it. Using a hand blender, process until the ice are well blended and smooth. Pour the blended drink into a serving cup and enjoy this epic drink immediately! Yum yum, your ice blended drink look so refreshing and slurpylicious.. I want 3 glasses please! Normally, I just make iced Milo with condensed milk, that's all.. Sometimes, I add in wee bit of coffee powder inside my Milo, but I don't always do that, just once in a blue moon, I don't drink coffee by the way.. I like my chocolate drink to be kaw-kaw, heaven ! Though I get drinks when we go to the bookshoppe cafe, I always make my own at home. So yummy. We use Stevia here as well. We put it in my husband's iced tea, which we also make at home. Wishing you a great day and boogie boogie. Very nice idea! The weather here is getting cold but I can have this near the fire place...maybe play some game of chess too? Yummy drink, Zoe! I agree that all those fancy ice-blended drinks are best made at home for a fraction of the cost. Stingy me had a drink at Starbucks only once and that was it LOL! I would love to have this everyday!! Hi Zoe, I'm lazy to make ice blended chocolate drinks ... I just throw in some ice cubes for a glass of cold ice Milo. 1 ice blended chocolate please ! Hee ... hee ^-^! I do have a stevia plant in my garden, and have not really made any drinks with it yet but I do like munching on the leaves haha! I like your chocolate drink.... looks yummy and great tht it's so affordable to make even with super high quality ingredients.